Triple H made a surprise appearance today at one of the UK’s leading independent promotions, Insane Championship Wrestling, during their Road to Fear & Loathing X live event in Cardiff, Wales. WWE United Kingdom champion Pete Dunne along with the promotion’s owner Mark Dallas were in the middle of the ring before much to everyone’s surprise, Dallas introduced Triple H who came out to a large pop from the crowd. 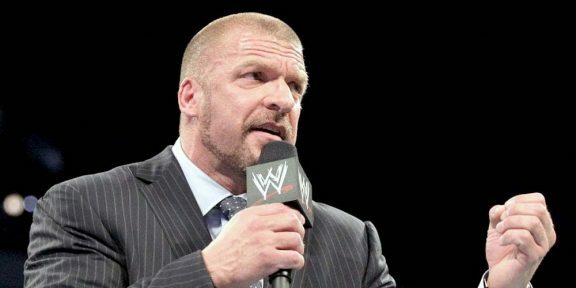 Triple H told the fans that this is where the business starts at promotions like ICW. He thanked everyone for supporting the promotion. It was a quick – and much welcomed – appearance as the company is in town for a live event in Cardiff as part of the European tour. WWE has a good working relationship with ICW and PROGRESS Wrestling in the United Kingdom and the two promotions were vital in the success of the WWE United Kingdom Championship tournament earlier this year on the WWE Network.